High Quality Content by WIKIPEDIA articles! 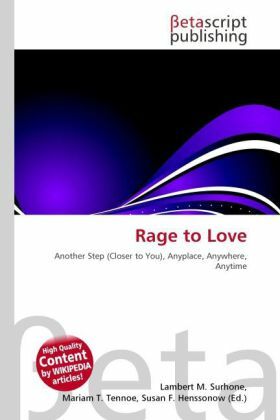 "Rage to Love" is the third and final single from Teases & Dares, the fourth studio album by Kim Wilde. Released in March 1985, the song was remixed by Dave Edmunds for its release as a single. It became Wilde's biggest UK hit for three years, reaching the UK Top 20. The B-side a cover version of The Shirelles' "Putty in Your Hands" is an exclusive non-album track. A six minute extended version of "Rage to Love" was included on the 12" single. Teases & Dares is the fourth studio album by Kim Wilde, released in 1984 via MCA Records. In 1983, Kim Wilde left RAK Records, who had released her first three albums, and signed to MCA Records. Ricki and Marty Wilde produced this album together, and wrote most of the songs. However, it also featured for the first time two songs written and composed by Kim: "Fit In" and "Shangri-la", both made remarkable for their personal lyrics.